These muffins took a few weeks to perfect but they were worth the wait! The recipe makes 15 muffins because each time I tried to change the amount of batter, the muffins didn’t turn out as well as this exact recipe. I ended up just placing the 3 extra silicone muffin cups on top of the filled muffin tin (each at a joint between 4 muffins in the tin). I hope that makes perfect sense to you… If I overfilled the silicone cups, the muffins would cook over the edges and were impossible to remove. I happen to have xylitol in the pantry, so if you don’t you can either skip it or use a pinch of sugar. 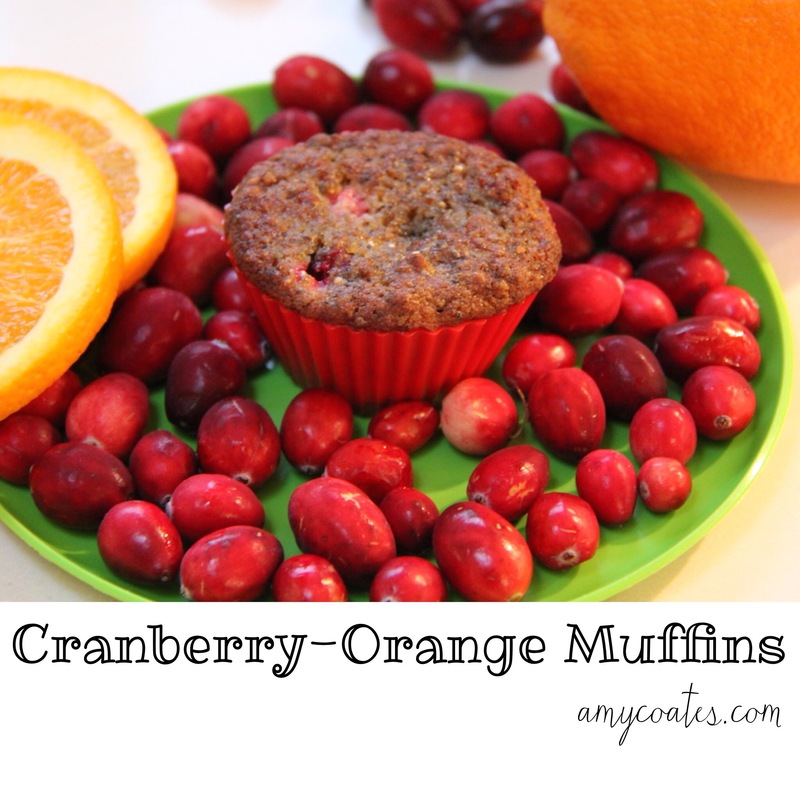 I love the extra hint of sweetness on top since cranberries are quite tart. Line a muffin tin with silicone cups. In a large bowl, mix together almond flour, chia seeds, baking soda, vanilla powder, and sea salt. In a separate bowl, mash the banana, and add the orange zest, orange juice, eggs, maple syrup, and coconut oil. Mix well and add to the dry mixture. Scoop the muffin batter into the silicone muffin cups, filling them each 3/4 of the way. Bake for 25 minutes. Let cool completely in pan to avoid muffins falling apart!